Let's create a city for all ages! Help us cultivate a Family Friendly Oakland. 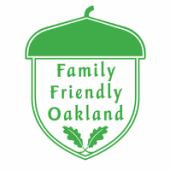 Wondering what makes a Family Friendly Oakland? See for yourself!